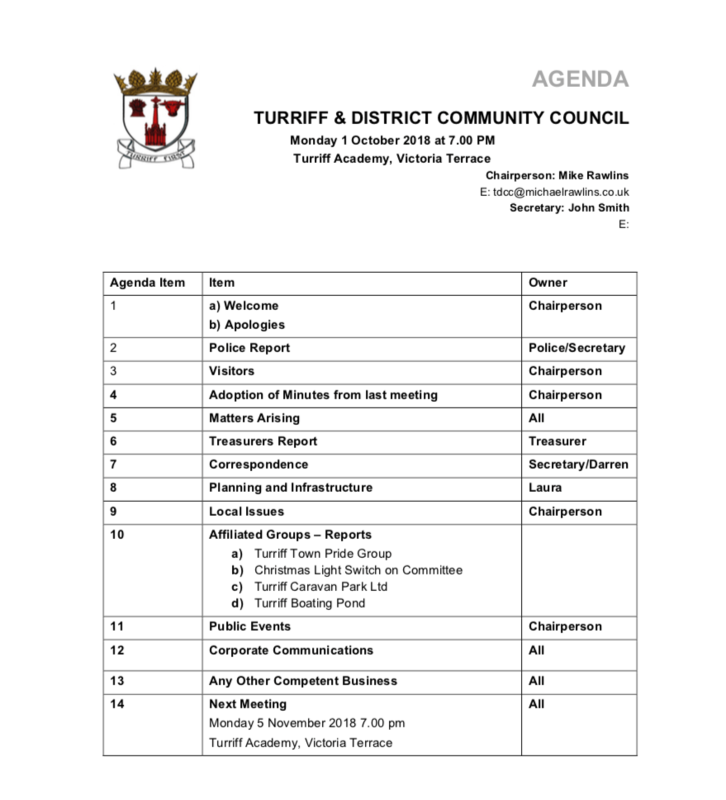 The October meeting of Turriff & District Community Council will take place on Monday 1 October at 7 pm at Turriff Academy. Members of the public are welcome to attend. If anyone has any issues they would like to bring to the attention of the community council, please contact one of the council members.